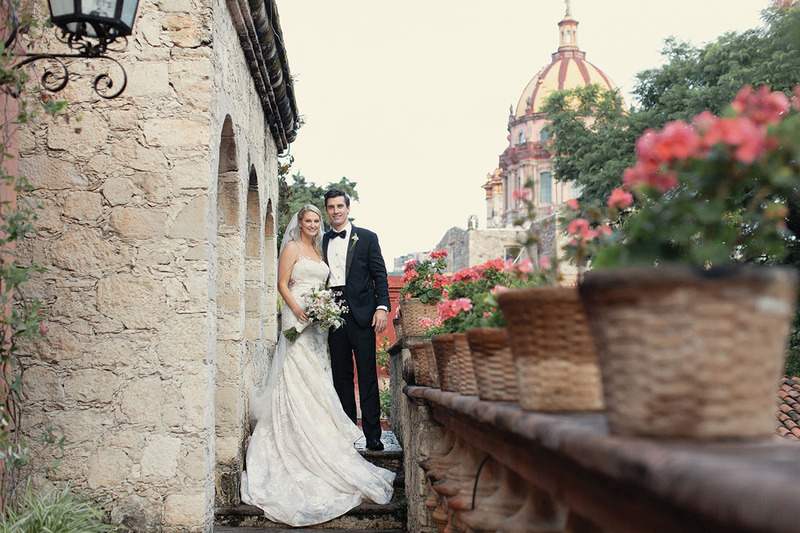 Emily Vidor Porter married Mark Evan Porter over a beautiful three-day weekend in San Miguel de Allende, Mexico. The outdoor ceremony took place at Casa Hyder, a private home. About 65 guests were greeted with champagne and then enjoyed a seated dinner in a clear tent filled with flowers and candles. The bride and groom danced to La Vie en Rose and honeymooned in Mexico. Bridesmaids were Sydney Mafrige Kerns, Allison Darden, Kelly Vidor, Holliday Hinckley, Anna Schuster, Kat Jones and Kelsey Sutherland, and groomsmen were Todd Porter, Brad Porter, Erik Vidor, Noah Tramel, Tyler Brady and Preston Hodges. Parents Kim and Bill Vidor and Helen Porter were thrilled.